UPDATE: Shortly after Carl Belz and I put together this post of our top ten favorites, Carl died. Scroll down to the bottom of this post to see my tribute to him. Followers of this blog have probably noticed there haven't been any posts since December. 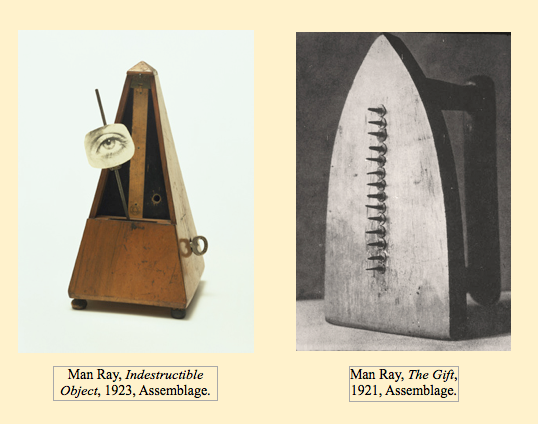 Although I still look at a lot of art, it seems I've lost interest in, and energy for, writing about it – so Carl Belz and I have decided to suspend publication of Left Bank Art Blog for the foreseeable future. There are many posts that we think you'll find are worth reading (or re-reading), and the entire blog will remain online and searchable. (We're still getting an amazing 400-500 page views per day, and sometimes 1000 and more.) So we've taken this opportunity to review the entire archive and select out some of our favorite posts. Almost all of my favorite posts are about individual artists, and usually I have a different take on their art than is generally accepted. 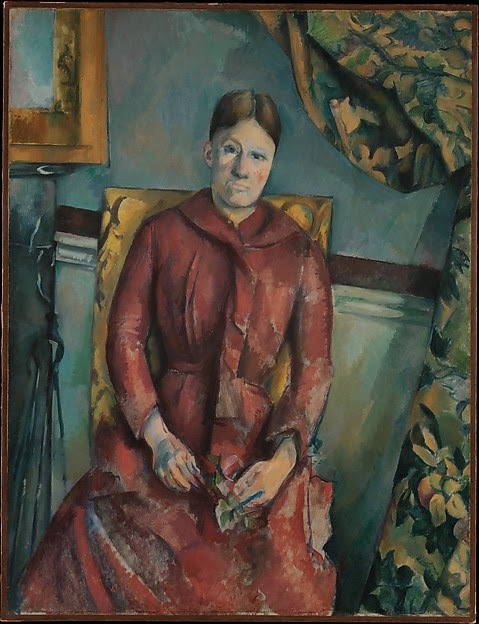 So in Cezanne's Portraits of Madame Cezanne I make the case that rather than massive, rounded and solid, I see Cezanne's art as elusive, evanescent, and unstable. Paul Cézanne, Madame Cézanne in a Red Dress, 1888-90, oil on canvas, 45 ⅞ x 35 ¼ inches (Metropolitan Museum of Art). And in On Jackson Pollock's Classic Drip Paintings, I argue that these paintings are not "all over," that the surface is not, in fact, uniform, but rather patterns and rhymes are formed. 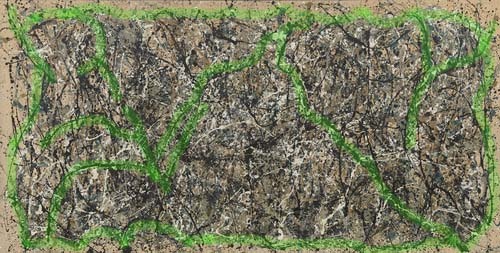 Jackson Pollock, One (Number 31, 1950), 1950, oil and enamel paint on canvas, 8' 10" x 17' 5 ⅝ " (MoMA) - marked in green to show the dominant compositional elements. 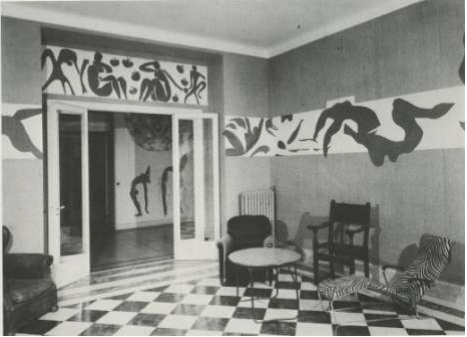 And I think the post Matisse's Cut-Outs as Environments has unique insights into this late work. Given his pervasive influence on twentieth-century art, it's not surprising that I chose two posts on Picasso. 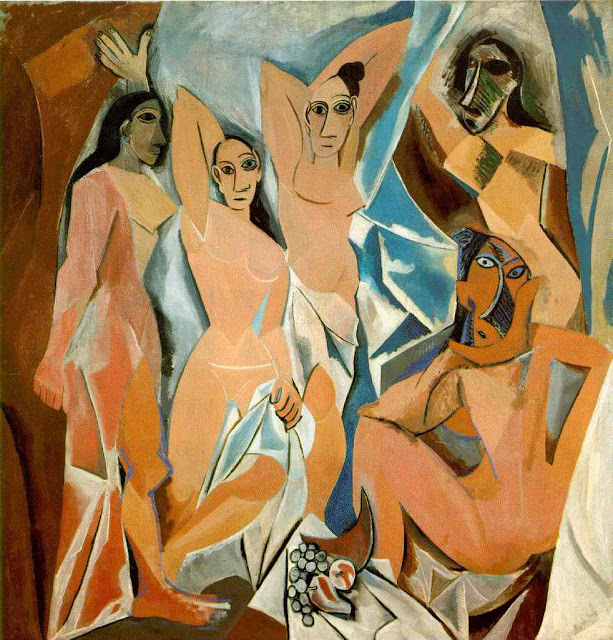 Pablo Picasso, Les Demoiselles d'Avignon, 1907, oil on canvas, 96 x 92 inches. 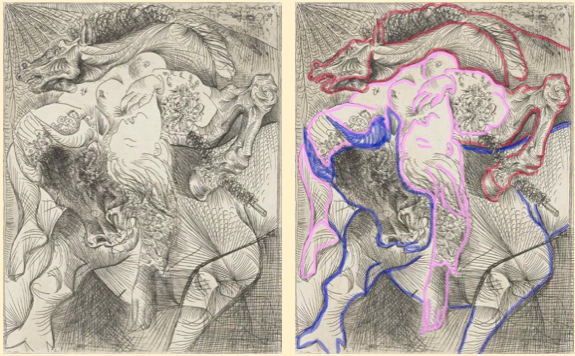 In Les Demoiselles d'Avignon, I wrote about how Picasso's masterpiece radically changed the relationship between the painting and the viewer; and in Decoding Picasso, I attempt to decipher the complicated imagery in two of Picasso's prints from the mid-thirties by painstakingly identifying them and then outlining his obscure and complicated images. 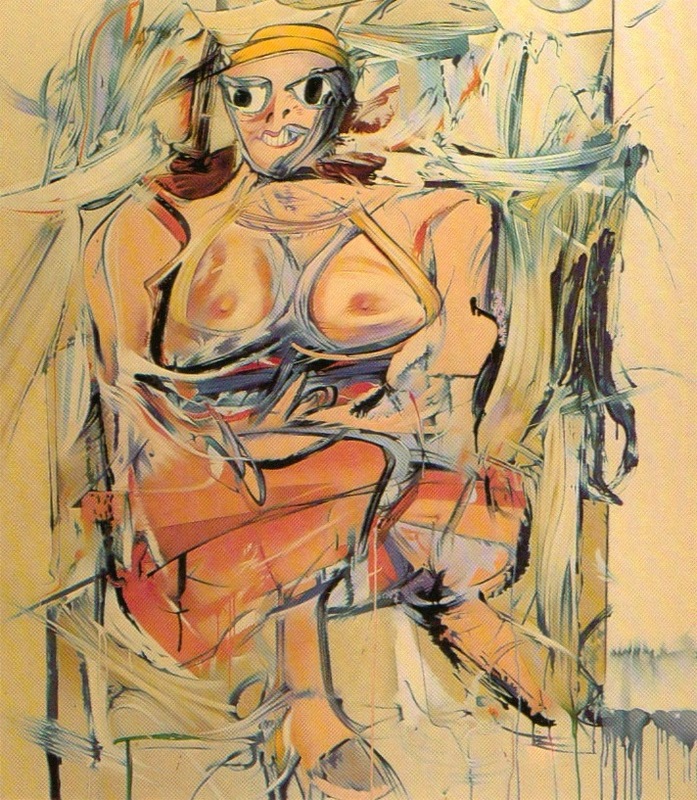 Pablo Picasso, Marie-Thérèse as Female Torero, June 20, 1934 (sheet: 17 5/8 x 13 3/8"), from the Vollard Suite. The stilted style of writing in Clyfford Still Part 2 (sorry) is probably because I wrote my MA thesis on his art and the academic style stuck. 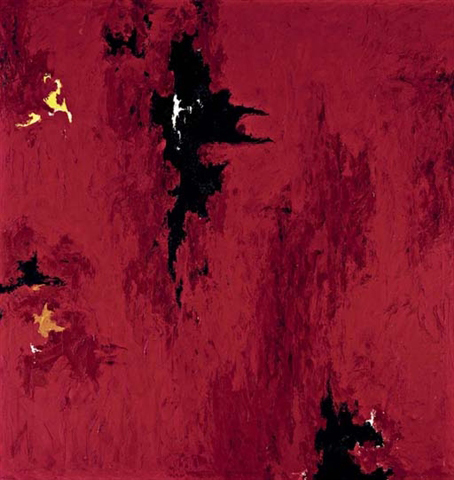 Clyfford Still, 1947-R-No.1, 1947, oil on canvas, 69 x 65 inches. 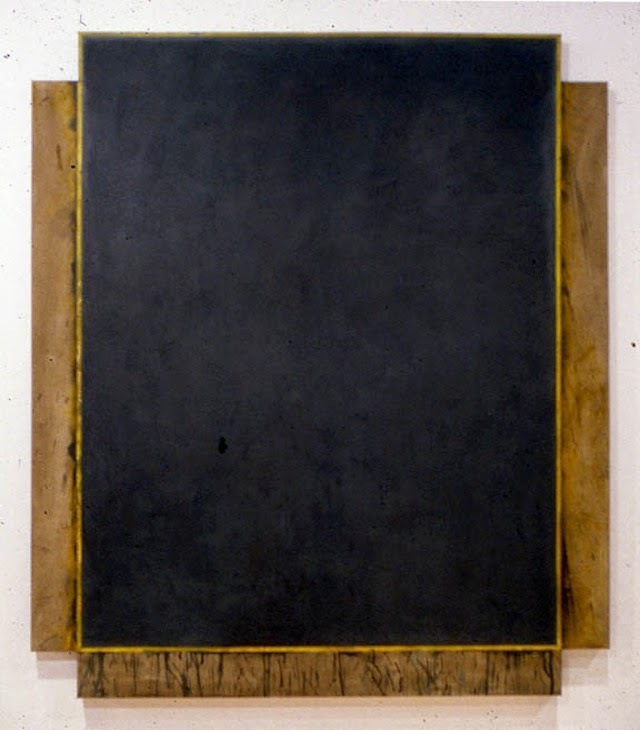 Nevertheless, there's a lot of information and ideas about Still and Abstract Expressionism in this post. Until his recent death at age 92, I believed the Los Angeles artist Charles Garabedian was the most vital living artist. I love his art and wrote about it for art magazines and exhibition catalogs, as well as for Left Bank. The post Charles Garabedian Retrospective is an overview of the art of this extraordinary, expressive, and prolific artist. Charles Garabedian, The Meeting of Greece and China, 1970, wood, acrylic and polyester resin, 97 x 59.5 inches; (photo: Tom Vinetz, courtesy of L.A. Louver, Venice, CA). My Two Weeks with Andy Warhol and the Velvet Underground is a fun read, and it offers insights into their lives at this early period of their careers. Not looking happy, from the left: Mary Woronov, Gerard Malanga, John Cale, Sterling Morrison, Maureen Tucker, Lou Reed, Nico and Andy Warhol, c. 1965, (photo: Steve Schapiro/Corbis). 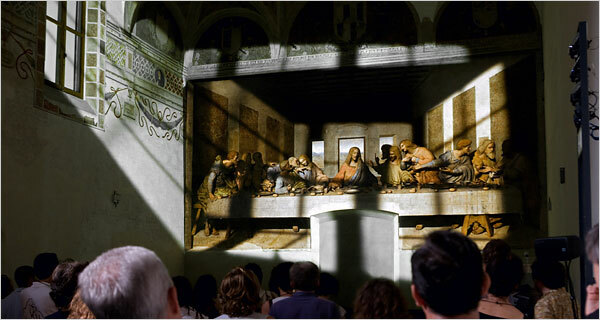 Film director Peter Greenaway used theatrical lighting to re-create the window, light and shadows that existed when Leonardo was painting the Last Supper (c. 1495-1498). 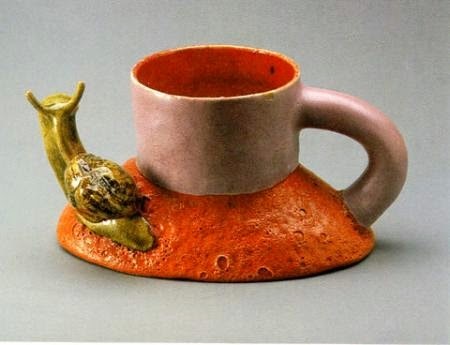 Ken Price, Snail Cup, 1968, glazed ceramic, 3 ½ inches high (private collection). Carl Belz is Director Emeritus of the Rose Art Museum, Brandeis University, where he was director from 1974 - 1998; and he was an inspiring teacher for even longer. He was my first art history professor, and he has been a friend and mentor to me for 50+ years and counting. Republished from other sources, and somewhat revised for LBAB, is an extensive essay on Jake Berthot's art that includes heartfelt and perceptive quotes from the artist; and, my personal favorite, a masterful essay that places the under-appreciated artist David Park in the context of the San Francisco and New York art scenes. Jake Berthot, Lovella's Thing, 1969. 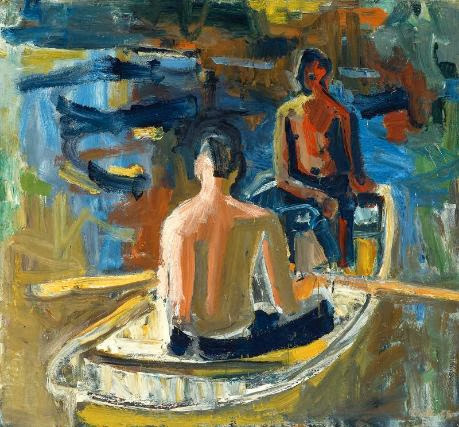 David Park, Rowboat, 1958, oil on canvas, 57 x 61 inches (Boston MFA). and AARP Painter Supreme on Belz's personal response to Hans Hofmann's late great painting phase. 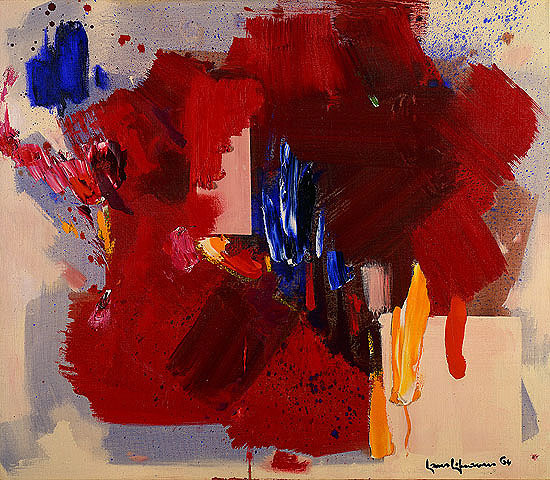 Hans Hofmann (at age 84), The Clash, 1964, oil on canvas, 52 x 60 inches (Berkeley Art Museum). Mel Ramos, I Still Get A Thrill When I See Bill #1, 1976, oil on canvas, 80 x 70 inches. (Rose Art Museum, Brandeis University). 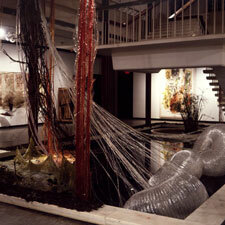 Installation View, Judy Pfaff, Elephant, Rose Art Museum, Brandeis University, 1995.
and Meet George Augusta is about, to quote Belz, "a first-rate, highly successful artist working in an art world that orbited in tandem with the art world I knew." 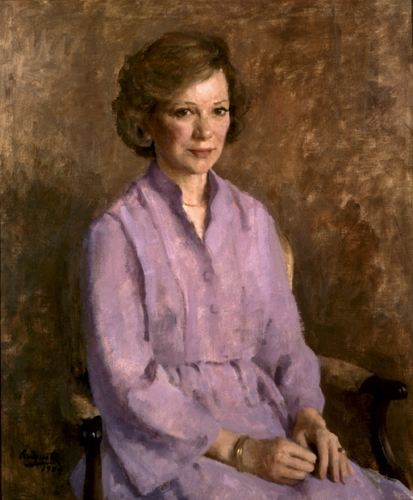 Portrait of Rosalynn Smith Carter by George Augusta, © George Augusta, 1984, oil on canvas, 32 x 40 inches (White House Collection). 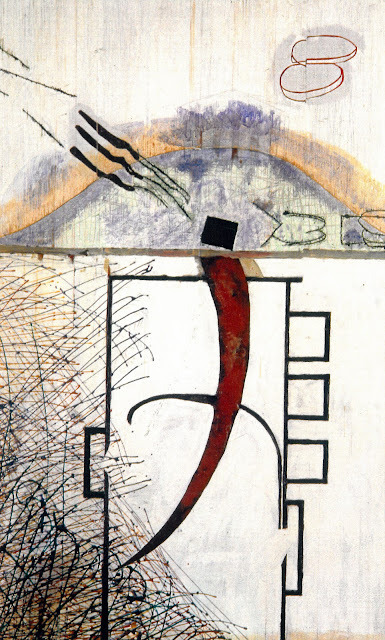 There are two painfully funny posts about his dealing with the Abstract Expressionist painter Helen Frankenthaler, a great artist but a difficult person. 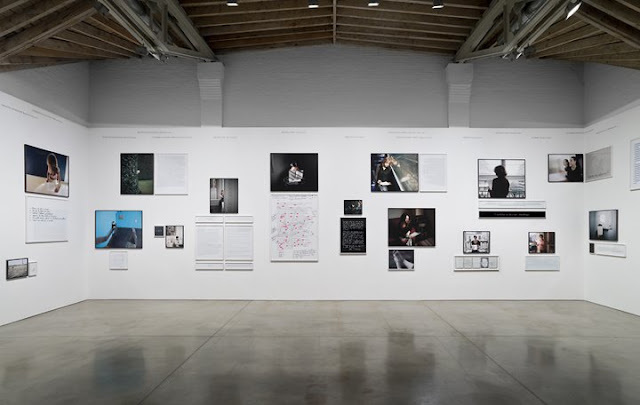 Ain’t No Mountain High Enough, is about the ordeal of working with her on a catalog of her exhibition at the Rose; and Once More With Helen relates the trials of curating this exhibition. 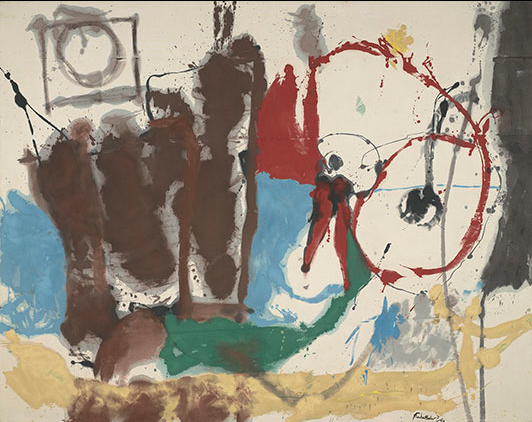 Helen Frankenthaler, Mother Goose Melody, 1959, oil on canvas, 81 ¾ x 103 ½ inches (Virginia Museum of Fine Arts, Gift of Sydney and Frances Lewis). 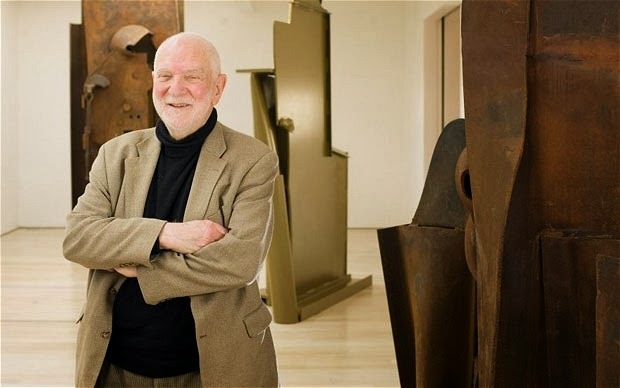 Anthony Caro, 2011 (photo: Rex features for The Telegraph). and Sophie Calle at Paula Cooper. ©Sophie Calle/ARS. Courtesy of the Paula Cooper Gallery, New York. Photo: Ellen Wilson. Photograph of Carl Belz by Man Ray, Paris, 1962, 5 ½ x 3 ½ inches. Carl Belz, my friend and mentor for fifty-five years, died on April 28th. He taught the first art history class I ever took (at UMass Amherst), and it was one of the first classes he taught after graduating from Princeton. At 6-foot-5, with intense eyes and a bushy mustache, Carl was an imposing figure. He'd dramatically pace back and forth in front of the slides, gesturing with a very long pointer (this was before lasers), totally absorbed. That intensity, together with his passion for art and his desire to engage with students, made him such a charismatic and inspiring teacher that I, and several of my fellow students, became art history majors. 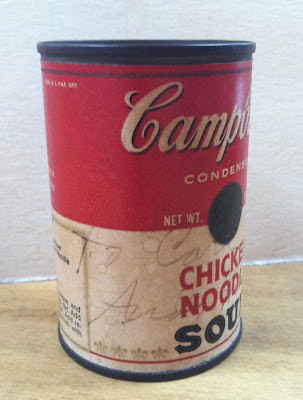 In addition to being an influential teacher, Carl was director of the Rose Art Museum at Brandeis University for 24 years (recounted in his LeftBankArtBlog series called "Curatorial Flashbacks.") He substantially expanded their collection of contemporary art and curated many notable exhibitions, developing close relationships with many of the most well-known artists of the day. 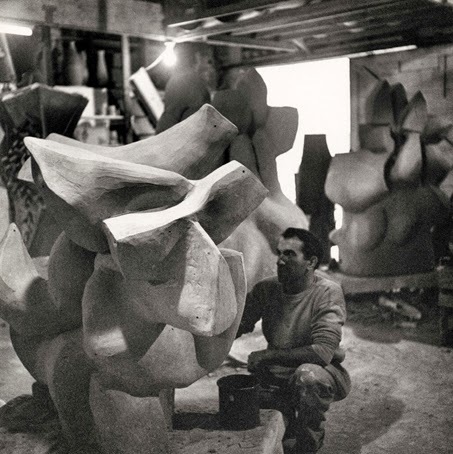 And perhaps most important, he inspired, championed and be-friended local artists in the Boston area — a city that, at the time, didn't have many exhibiting venues or support structures for contemporary artists. When Carl retired from Brandeis, I asked him if he'd consider writing for this art blog, and to my surprise and delight he agreed. At first, working with my idol felt awkward to me, but Carl, as was his way, always treated me as a friend and colleague, and we grew even closer. I really miss him. Here is a comprehensive Boston Globe obituary that notes many of Carl's achievements, including holding Princeton's single-game rebounding record (29 against Rutgers University in 1959). Wow, I was just remembering your blog yesterday, and wishing for another post. And I would have loved to have read your thoughts on Norman Lewis. But thanks for all the turn ons - to David Parks especially. I hope "so long" won't be so long after all.